The Sumo Deadlift is one of the best exercises you can do to develop strong hips. 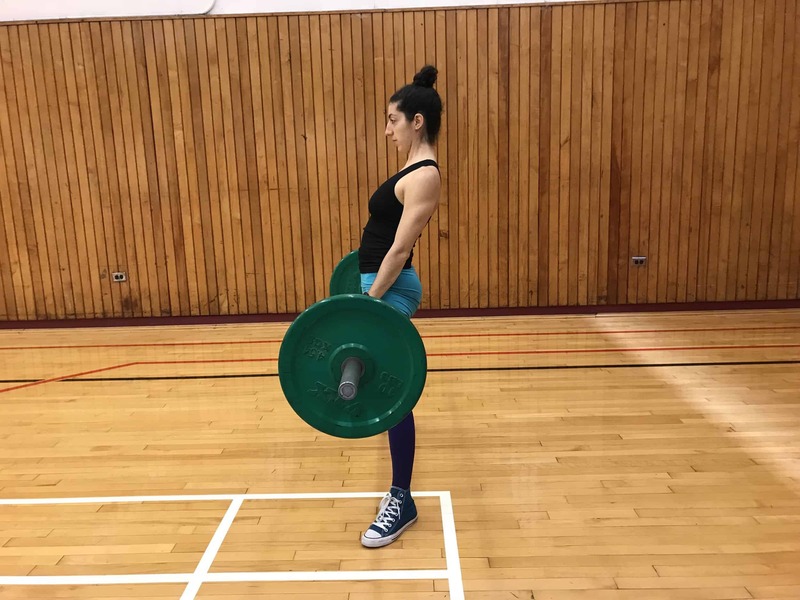 To perform this exercise, you must assume a much wider stance than the Conventional Deadlift, which will decrease the distance the bar has to travel, and keep you in a much more upright posture. As a result, less strain is placed on your low back, and more emphasis is placed on the hips, hamstrings and quadriceps muscles. Some individuals find that they are anatomically better suited for the sumo position, while others find it awkward. Either way, both Sumo and Conventional Deadlifts train a key functional movement pattern, which is hip extension. Maintain a flat neutral spine throughout the entire movement, do not hyperextend nor allow any rounding of your back. When setting your stance for the sumo deadlift, you should only go as wide as your anatomy and hip flexibility allow you to go. You are too wide if your shins are no longer in a straight vertical orientation when looking from the front. This is how you injure your low back. Finish the movement by extending at the hips, not at the spine. In order to ensure that you do not hyperextend, simply squeeze your glutes hard at the top of the movement. Do not change your back angle once your glutes have locked out. Similarly, allowing your spine to flex or round during this exercise increases your risk of disk herniation. If your back is rounding, decrease the weight and concentrate on keeping your spine neutral. Record your sets and do not allow any rounding. Is Sumo Deadlift Easier Than Conventional Deadlift? This is a very common misconception in the fitness world. Unfortunately, the sumo deadlift is a misunderstood exercise. Although the range of motion is decreased compared to a conventional, sumo deadlifts challenge your muscles in a different way. Some individuals are better suited to pull conventional, and some are better suited to pull sumo. If both feel equally natural, utilize them both in your training. I personally use the sumo deadlift. It feels much more natural to me, and I suffered a low back injury a few years back. The sumo deadlift has allowed me to still train hip extension with a barbell even in the presence of my low back strain. Sumo Deadlift VS Trap Bar Deadlift? The sumo deadlift and the trap bar deadlift are totally different exercises. The trap bar resembles a conventional deadlift more than a sumo. The starting position in a trap bar requires you to set a shoulder width stance and maintain a less vertical starting position. Either way, the trap bar is another suitable variation that you can use in your training. Can I Do The Sumo Deadlift With A KettleBell? What About A Dumbbell? Yes, the sumo deadlift can be done with a kettle bell and with dumbbells. This should only be reserved to individuals with very little training experience and simply want to perform the exercise in a low impact manner. Using a barbell will stimulate more muscles and allow you to lift heavier weights. What Is A Good Sumo Deadlift Routine? One sumo deadlift day and another day where you focus on a different hip extension exercise such as Romanian Deadlifts. 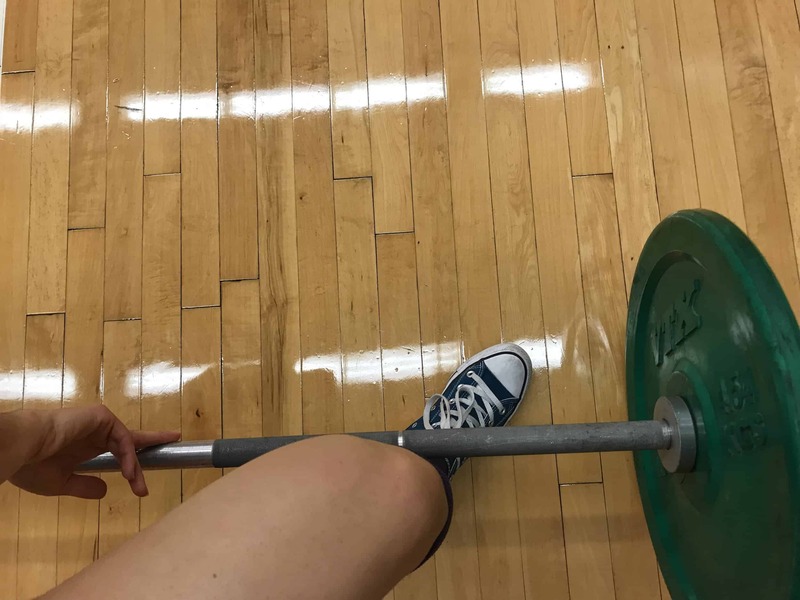 What Are The Best Sumo Deadlift Shoes? Converse Chuck Taylor’s or Mark Bell’s Reebok Crossfit Lite. These shoes have a flat sole and will not roll over when you are exerting pressure outwards on your feet. If you try and go too wide too early, you can strain your hip flexor and adductor muscles. The first thing that you need to do when you experience pain is to stop performing the exercise/activity that is causing pain (temporarily). Stretch your hips and your adductors (using stretches found at 9 Incredible Stretches to Improve Flexibility Fast), and then slowly re-instate the exercise back into your routine using a slighlty narrower stance. 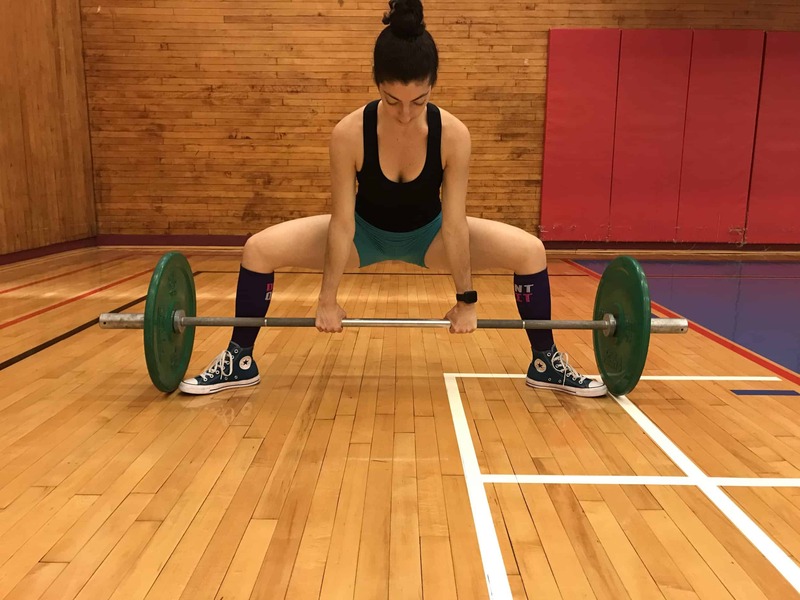 HOW CAN I INTEGRATE THE SUMO DEADLIFT INTO MY TRAINING? 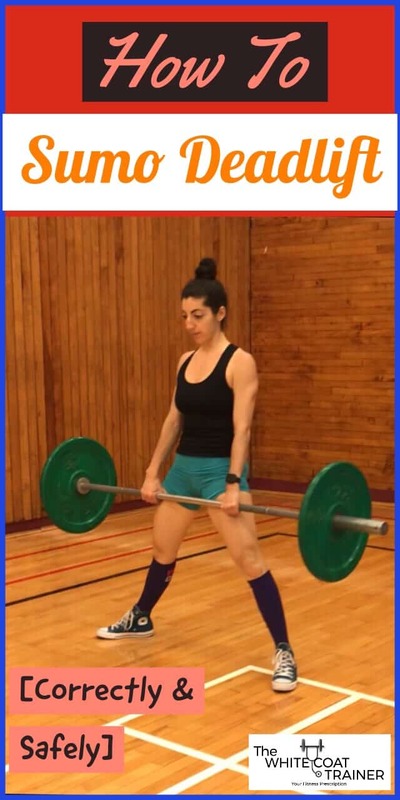 Check out The WCT Best Workout Template For Busy Professionals to find a simple way to add the sumo deadlift and other great exercises into your routine.